In every sense of that definition Horton Halfpott: or The Fiendish Mystery of Smugwick Manor or The Loosening of M’Lady Luggertuck’s Corset by Tom Angleberger is Dickensian. Alright, a few years from now, as Tom Angleberger’s books gain more and more popularity – hilarious comedies with memorable characters in ridiculous situations may come to be known as Anglebergian, but for now, Angleberger is going to have to settle for his book being Dickensian. It certainly resembles the works of Charles Dickens. Set in Smugwick Manor, the labyrinth like mansion of the Luggertuck family, Horton Halfpott is filled with characters that had to be inspired by Boz himself. The story takes place in Victorian England, just like Dickens stories, and, just as Dickens did, Angleberger creates a cast of characters made up of weak servants that are mistreated, rich snobs that you love to hate (and Dickens loved to mock), a bumbling detective, and a helpless waif of a hero that just needs someone to give him a leg up. The book is worth reading for the names themselves – The evil Luther Luggertuck, Horton Halfpott (a pint sized hero who washes pots and pans), Celia Sylvan-Smythe (who Luther and Horton want to sit in a tree with… yeah, we all know what they want to do in that tree), Loafburton (the baker), the Shipless Pirates, the bumbling detective Portney St. Pomfrey, and the other servants – Bump, Blight, and Blemish. The servants at Smugwick Manor work in hilarious, but hideous, conditions that give you the “grotesquely comic” that worked so well for Dickens, but makes you root for them that much more, all while laughing at the ridiculous roles each of them is given in the household. Of course, the best of all is Horton Halfpott himself, the small boy who doesn’t seem to have anything going right in his life reminds readers of Oliver Twist or David Copperfield in so many ways. Horton’s life is so awful that you just have to laugh at each crazy thing that happens to him. The main conflict in the story is the zany disappearance of the Luggertuck’s priceless gem – The Lump. Of course, our hapless hero, Horton Halfpott is the lead suspect in the crime, because this story is Dickensian, so Horton’s life has to get continuously more and more awful. However, it’s these problems, as well as all the twists and turns that make Oliver Twist such a fun read, that make this book so great. Horton finds himself in so scary, exciting, and interesting predicaments as the mystery unfolds that you just can’t put the book down. I highly recommend this on, as well as any other Anglebergian adventures you might find in the library. Last week I drove down to Arkansas for our (sort of) annual trip to visit my wife’s family. Hanging out in Arkansas is usually pretty relaxing, and I get plenty of time to lounge around and read, so before we left, I stopped by the public library and grabbed a few books to read. The first one, I thought was pretty fitting – The Lions of Little Rock by Kristin Levine, which is set right there in Arkansas in 1958, during the Civil Rights movement. The Lions of Little Rock has been getting a lot of buzz this summer. I won’t be surprised to see it on the Newberry Honor book list soon, and it will likely be on the Rebecca Caudill list in the next few years. Personally, I think it deserves every good review, bit of praise, and award nomination it gets. I’ll go ahead and put it in my own top three young people historical fiction books about Civil Rights (a list that would also include Mary Ann Rodman’s Yankee Girl and Christopher Paul Curtis’ The Watsons Go To Birmingham – 1963). The plot is familiar. Integration is coming to Little Rock, Arkansas schools. Some people are for it, and some are against it. The people that are for it believe that everyone, regardless of race, deserves a good education. The people that are against it can be rude, threatening, and even violent. In 1957, the Little Rock Nine were a group of high school students that became the first African-American students to attend the white school. In 1958, the governor of Arkansas passed a law so that all Arkansas high schools would become fully integrated. The Little Rock school board did not agree with this decision and closed the schools. Yup, you read that right – instead of having their kids go to school with black students, the adults in Little Rock thought it’d be better for the kids to just cancel the whole school year. The story is told through the eyes of a 12 year old white girl named Marlee. Marlee’s only in junior high, so her school is still in session, and not integrated. She’s painfully shy and so quiet that she only talks in a few words at a time, and even then, she only talks to a select few people. That is, until a new girl moves in to her class and helps Marlee understand what friendship is really about – understanding one another’s strengths, helping with each other’s weaknesses, and really being there. 1. It’s a fantastic history lesson. I’ve read about the Civil Rights movement, and I knew about the Little Rock Nine, but I’d never heard about a town closing their schools for an entire year to protest integration. It’s an mind boggling thing to think about now, when we have a mixed race president and don’t deal with the outward racism that was present in our country just 54 years ago, but they actually closed the schools, because no school was a better option to them than schools that mixed races. 2. Marlee is one of the best characters I’ve ever read. The language in the book is beautiful, because it expresses Marlee’s real feelings, her fears, her confusion, and her desires. A great author creates characters that you miss when the book ends. I miss Marlee. 36 down, 54 to go. I’ve been challenged to try and read 90 books in 90 days this summer. The Lions of Little Rock, which is one of my favorites so far, was my 36th book. Christopher Paul Curtis not only has the coolest last name in children’s literature (I met him once and he signed a copy of Bud, Not Buddy to “one of my favorite coz’s”), he also has three nope, make that four of the best middle grades novels I’ve ever read. Watson’s Go To Birmingham – 1963 was the first of his books that I read. It’s a fantastic story about an African-American family in Flint, Michigan at the height of the Civil Rights movement. The first half of the book is a series of hilarious stories about the family members, especially the trouble the oldest brother Byron gets into. These little unconnected stories tell all about why the family is known as the Weird Watsons. There are toy paratroopers set on fire in a toilet, a teenage boy who get’s his tongue frozen to the side of a car, and all sorts of hilarious events. Then it gets serious. Byron gets in enough trouble that the Watson’s decide to head down south the Birmingham, Alabama to visit grandma. Life in the South for an African-American family is much different that it is in Michigan. The last few chapter have you holding your breath to see what happens. Next, I read Bud, Not Buddy, about a African-American boy in the 1930s who runs away from a foster home to find his way in the world. Anyone who ever wondered what life is like during the Great Depression should check this book out. With the way today’s economy is, there are a lot of parallels to be made. I won’t summarize the book, but Bud is one of my all time favorite characters, and this one is the only book to ever win both the the Newbery Award and the Coretta Scott King Award. That’s pretty incredible. Curtis’ next book (at least the next one I read) was Elijah of Buxton. Buxton is a community in southern Canada founded by escaped slaves, and this book takes place just after the end of the Civil War. Elijah is the first free child born in Buxton. This book is set up a lot like Watsons, with each chapter at the beginning telling funny little stories about Elijah and the people of his community. Then it gets real. Like the other two books, it has an amazing character and really brings you into history. Elijah of Buxton almost topped the honors Bud, Not Buddy received. 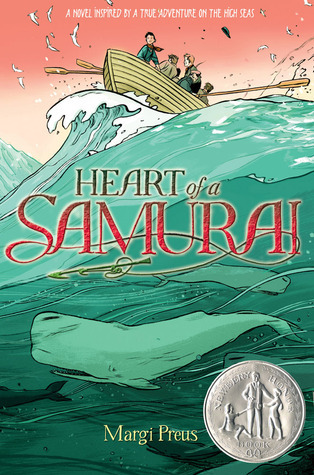 It won the Scott O’Dell Award for Historical Fiction, The Coretta Scott King Award, and was a Newbery Honor book. The characters in all of Curtis’ books are great. Kenny Watson, Bud, and Elijah will all stick with me for a long, long time, but Deza Malone is something special. She’s so real that sometimes you want to reach into the page and give her a hug, sometimes you want to cheer for her, sometimes you want to yell at her to not do what she’s about to do, but in the end you just smile, glad that you’ve met her. It sounds silly, but she’s such an amazing, perfectly created character that you really do feel as if you’ve met her. Finally, I just finished Curtis’ lastest book. This time, in The Mighty Miss Malone, Curtis returns to the Great Depression and tells the story of Deza Malone and her family. 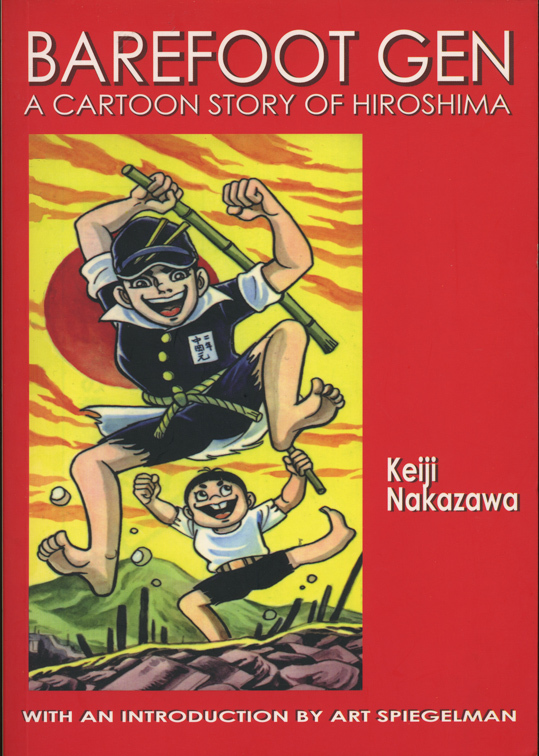 Deza is actually a minor character, seen for just a few pages in Bud, Not Buddy, and Bud shows up for a few pages in this story. Deza’s family, like almost everyone in the mid 1930s is down on their luck. I can not recommend this book enough. I think it’s the perfect book for kids to read the summer between 6th and 7th grade, since the Great Depression is covered in 7th grade social studies. In fact, make it a combo deal – a little Deza with a side of Bud, why not read both books? This was #13 on my quest to read 90 books in 90 days this summer. So far, it’s my favorite. What a beautifully written book. Inside Out & Back Again by Thanhha Lai is one of those novels written as a series of poems that seem to be getting very popular nowadays. This wonderful story was a National Book Award Winner, a Newbery Honor book, and is now on the 2013 Rebecca Caudill nominee. It’s almost autobiographical, telling the story of a 10 year old girl named Ha, who is escaping South Vietnam with her family (mom and three brothers) as the Vietnam war is ending. It’s 1974, and the American troops have pulled out of the country. The Communist North is slowly taking over, and Ha’s mother decides it’s time for her family to leave. The story is told in three parts: Part one is life in Vietnam, showing Ha’s life at home, the things she loves, and all she’s ever known. Part two is about the family’s escape on a navy vessel. The third part tells about how Ha and her family adjust to life in Alabama, which is quite a far cry from Vietnam. The book is made all the more poignant in the end when the author’s note reveals that the story is based on her own experiences, leaving Vietnam and arriving in 1970s Alabama. Overall, I highly recommend this lovely little story. It’s the perfect addition to any study of the Vietnam war or poetry. This is #10 in my quest to read 90 books in 90 days this summer.